There are many ways you can contribute to research. One way is to volunteer to become a research participant, providing information or data about you to researchers as part of their study. Why would/should I participate in research? Mental health research aims to understand why people experience mental health problems, and how they can be prevented or their impact reduced. Participating in research is a way you can contribute to creating the solutions to the challenges that many people face. A lot of people who have personal experience of mental health issues volunteer to participate in research because they want to help other people in a similar situation. What you will be asked to do will vary between different studies. You may be asked to complete a questionnaire, take part in a telephone interview, or take part in a workshop. In some studies you may also be asked to try out a new treatment. Below is an example of a study carried out at Mcpin outlining what we were looking for, and what participants had to do. The risks of taking drugs that effect your mood and behaviour (such as antidepressants, and antipsychotics) while you are pregnant. What did the participants have to do? Participants were women who had experience of having to make a decision about whether or not to continue to take their medication when pregnant. They were asked what advice they’d had, what had worried them, and what decision they had made. They were interviewed by researchers who had also had experience of being in this situation. Who can get involved in research? Different research studies will have different criteria for who they need to recruit. This can be general e.g. “People who volunteer in Mind charity shops”, or more specific, e.g. “Females aged 18-25 who have received cognitive behavioural therapy for bulimia”. You should be able to find some studies you can help. 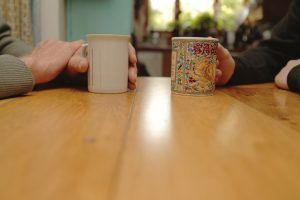 Do I need experience of a mental health condition to take part in research? No. Some studies will be looking to recruit those with personal experience of a specific mental health condition. However many others will be looking for other sorts of experience, or will want to recruit a mix of people. You should be able to find some studies you can help. What information will I get before I take part? You should be given an information sheet outlining exactly what the study is looking at, and what you will be asked to do. It should also tell you what information, data or samples you will be asked to give the researchers and how it will be used. The researchers should also explain any risks connected to taking part. If you’re happy to participate then you will be asked to sign a consent form, which says that you are agreeing to take part in the study. Normally you will be free to withdraw from the study at any time without giving a reason. Normally all the information you give as part a study is confidential and often data is anonymised. For example, if you fill in a questionnaire it will be labelled as “Participant 23” not “John Smith” so it is impossible for people looking at it to know who filled it. The information sheet should make clear what information will be collected and how it will be used. Is there a chance confidentiality could be broken? In rare circumstances researchers may brake confidentiality, usually to protect you or somebody else from harm. You should be told what these circumstances are for that specific project before you take part. Will I get to hear about the results? In the majority of cases you should be able to see the results when the study is published. In some cases you may be sent a copy, or a summary of the findings. 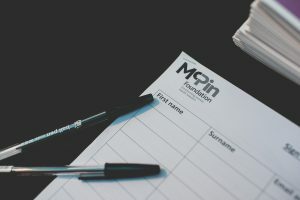 If you want to know about our opportunities to participate in research at McPin please email thomaskabir@mcpin.org or sign up to our bulletin. The bulletin comes out quarterly and outlines research involvement opportunities both at McPin and at other mental health organisations. Below are links to other organisations research involvement opportunities. If you cannot find anything for you, you can also look on condition specific charity websites (e.g. the eating disorder charity Beat) and on social media.